Cravings can make even the strongest among us weak in the knees, and cravings often strike at the worst possible time: When you’re in the grocery store surrounded by every food imaginable. In this situation, it’s tempting to grab the thing you want the most, a snack that’s flavor-packed and full of fat—that snack you know will make you happy. If that snack is highly processed and full of salt, sugar, or fat, then put it down! 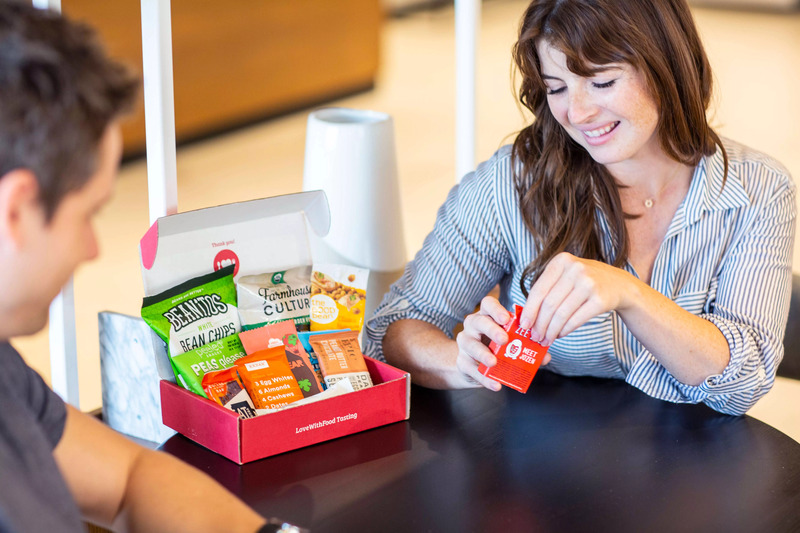 Your store has at least one delicious and healthy snack to buy for every calorie-laden treat available, and we can tell you what they are. This list of healthy store-bought snacks will help you say strong when you’re browsing the grocery aisles and a craving strikes. Thanks to this list, you’ll never have to fear the candy or chip aisle again. 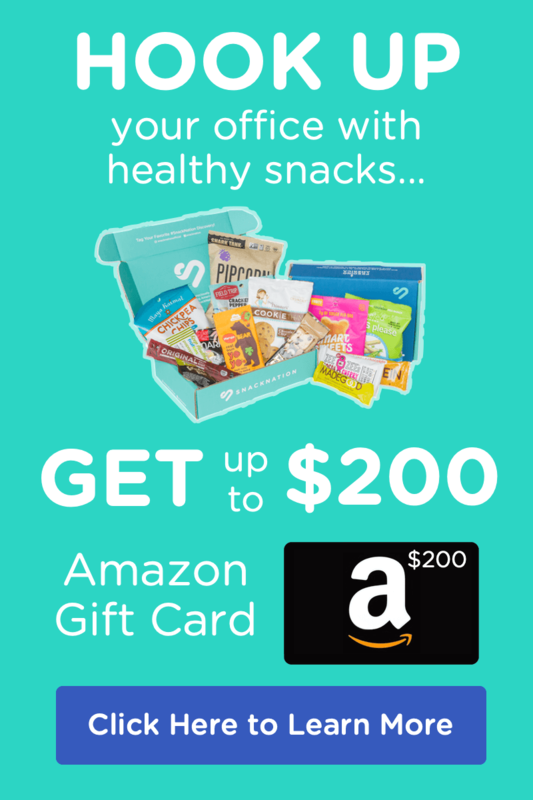 Do you want tasty & healthy snacks delivered every month? 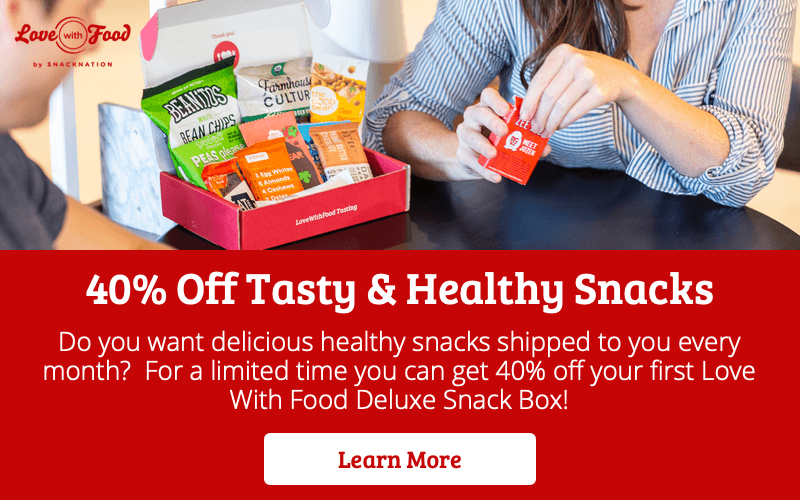 For a limited time, Love With Food is offering 40% off your first Deluxe Snack Box! Plus – for every box you purchase they’ll donate a meal to a local food bank on your behalf. Get 40% OFF your first box here! Quinn Popcorn is marrying gourmet flavors and techniques to the convenience of microwave popcorn. The snack makers put meticulous care into every aspect of their popcorn, perfecting everything from the bag where it pops to the Vermont maple sugar that gives it a rich sweet flavor. 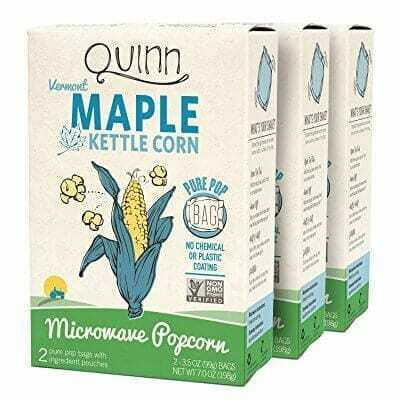 Quinn’s popping bags are pure and simple paper; they’re not coated with weird emulsifiers, plastics, or hydrogenated oils. The bag is filled with certified organic popcorn kernels and wholesome sunflower oil, and the sweet kettle corn flavor comes from maple sugar made by Butternut Mountain Farm in Vermont. Quinn is all about transparency. You can even browse all the farms they source from. 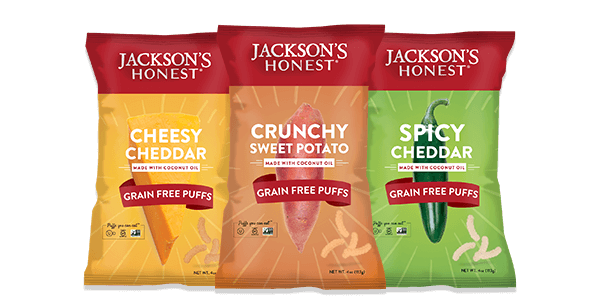 The idealistic snackers at Jackson’s Honest set out to make a delicious packaged snack without using rice or corn. Their triumph manifests in these Crunchy Sweet Potato Grain Free Puffs, filled with nutrient-rich root vegetables, peas, and cassava flour. The light puffs are made using organic coconut oil and a perfectly light sprinkling of sea salt. These amazing puffs will fit into your gluten-free, vegan, or healthy-in-general lifestyle. One serving has only 140 calories and lots of fiber. So what’s the secret to this amazing ice cream? It features milk protein, instead of the usual milkfat, to get that smooth ice-creaminess you crave. 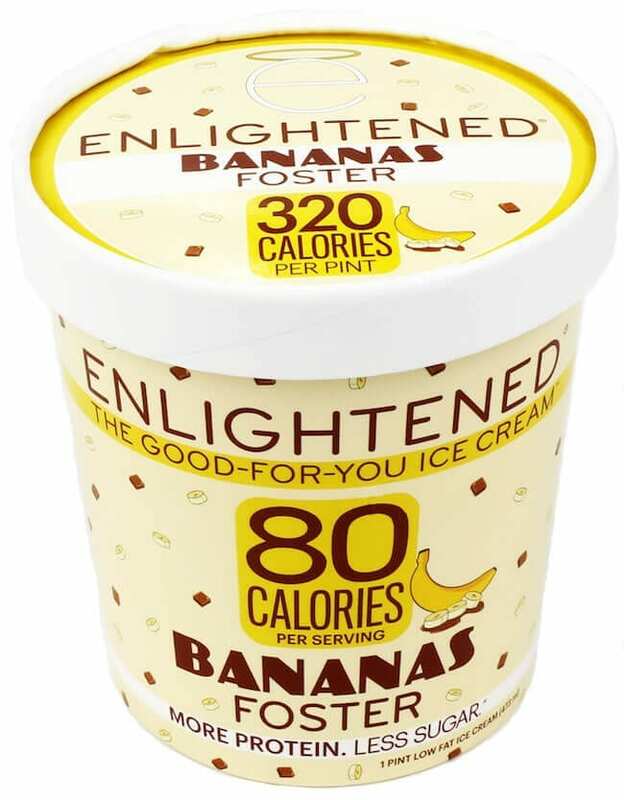 In addition to protein, the ice cream features real bananas, pure cane sugar, and a touch of cream. It even gets extra sweetness from healthy monk fruit extract. Best of all, you can pick up all this goodness in the freezer section of your grocery store. 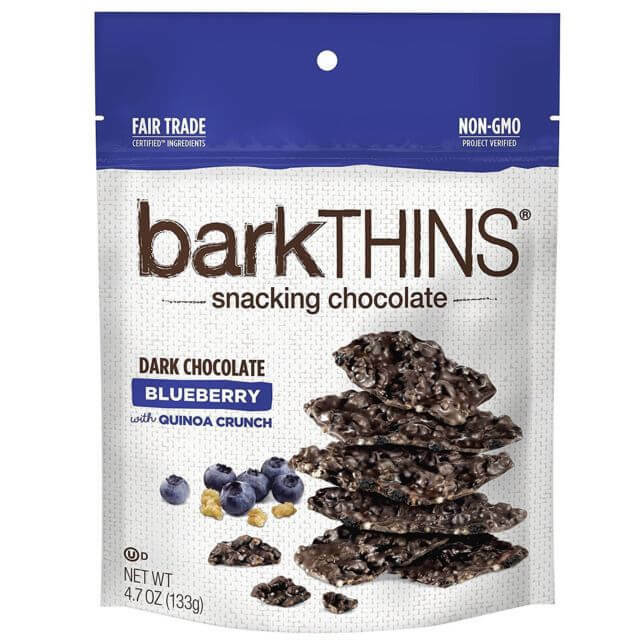 BarkThins even uses dark chocolate made with delicious fair-trade ingredients. Plus, one serving of these snacks has 10% of your recommended daily value of iron. That’s a whole lot of goodness in one convenient, store-bought package. These chocolate almonds have all the flavor and goodness you would expect from a tiny, meticulous chocolatier, but you can buy them at your local grocery store. The snack makers start with a pure and simple almond. Then they enhance the natural flavor of the almond by covering it in a perfectly thin layer of dark chocolate; they don’t drown the nut in chocolate like other brands. Their delicate process brings you the perfect blend of almond and chocolate flavors—not too sweet or too heavy. Forager Project makes it easy to feel like a hunter gatherer as you’re roaming the aisles of the grocery store. 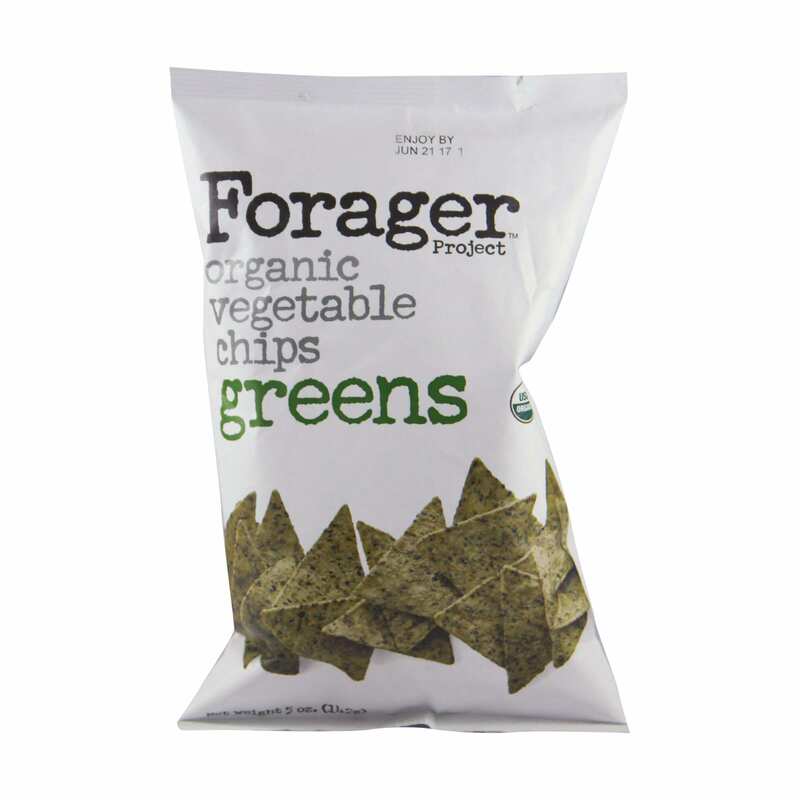 Their organic vegetable chips pack all the leafy goodness of an entire field of greens into healthy chips that are unlike anything you’ve ever had. 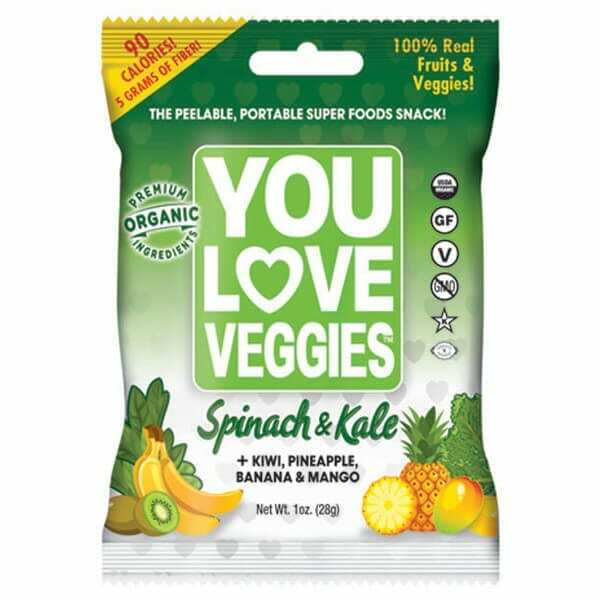 These chips are made of pressed vegetables, lots of pressed vegetables, including cucumber, celery kale, spinach, romaine, and the list goes on. The crispy texture comes from a healthy mix of brown rice, black sesame seeds, and ancient grains. Eating these chips is kind of like eating a bagged salad. 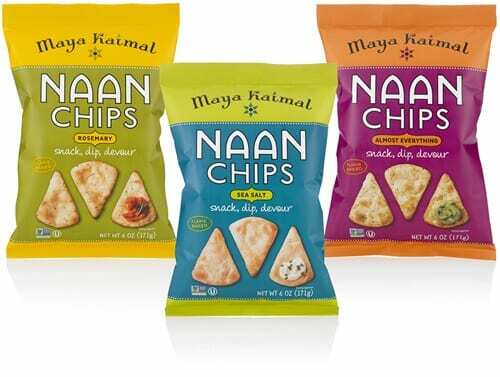 Bring the dense, oven-fresh goodness of your favorite restaurant naan into your snacking life with these handy packaged naan chips. Each triangle even includes all those delightful pockets that make naan so fun to eat. In addition to being incredibly delicious, these chips are made with whole-grain flour. They also skip on the trans fat and genetically modified ingredients. This green leather packs the tasty goodness of your favorite greens into a strip you can pick up at the store. Spinach and kale flavors are mixed with mango, apple, and pineapple for a bit of sweetness. Each Primizie crisp is packed with organic sprouted grains and sweet earthy beets, delivering good taste and good health straight to your eager mouth. The crisps are certified gluten-free and non-GMO Project Verified, plus they have no trans fats, cholesterol, or preservatives. These convenient store-bought snacks are perfect alone or with your favorite hummus. This is not a fancy hors d’oeuvres recipe. This is not an appetizer from an Italian restaurant. This is a handy and delicious packaged snack you can pick up at the store. 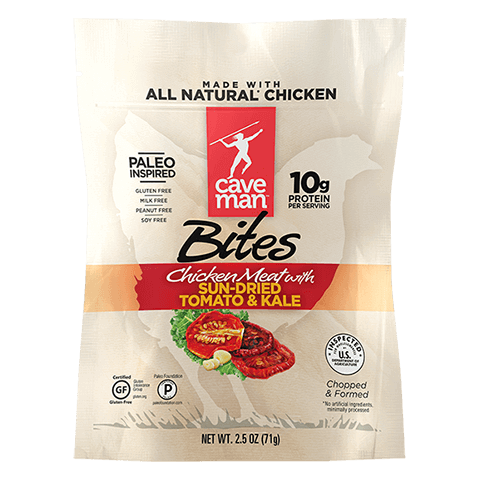 Caveman Snacks emphasizes the virtues of simple whole foods. The Sun-Dried Tomato & Kale Snacks are packed with hormone- and cage-free chicken, sun-dried tomatoes, and kale (just like the name promises), plus other good-for-you ingredients, including parsley, honey, and spinach. Thanks to Ag Standard, you can buy almonds that taste fresh from the farm. Ag Standard uses only the best California almonds. They even inspect and select the perfect almonds to put into your perfect snack. Once they have the best almonds they can find, they roast them with light heat and no oil to preserve each almond’s flavors and nutrients. 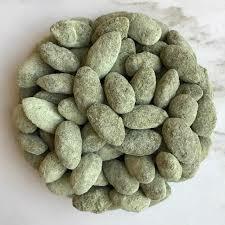 To make their Matcha Almonds, Ag Standard simply sprinkles premium almonds with herbal green matcha and tops everything off with just a touch (less than 1 gram) of natural cane sugar that provides the perfect hint of sweetness. Elote is delicious Mexican street corn topped with fresh cheese, lime, and jalapeno. But thanks to Cabo Chips, you don’t have to go to Mexico, or even the street, to enjoy that distinct elote flavor. 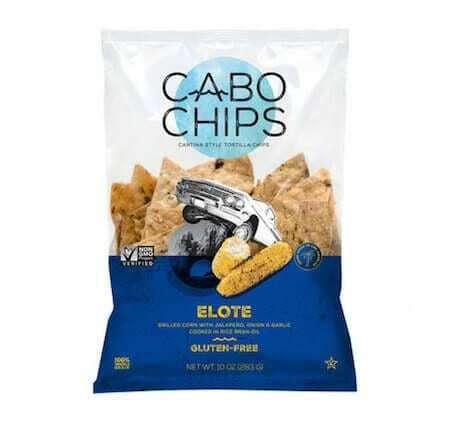 Just grab a bag of Cabo Elote Chips. These gluten-free, non-GMO Project Verified chips are cooked in rice bran oil, so they’re super light. Cabo Chips is committed to making chips that are minimally processed, and you’ll be able to taste the freshness that results from their simple practices in each golden, whole-grain triangle. Few snacks you can buy at the store are as earnest as these delectable bars. 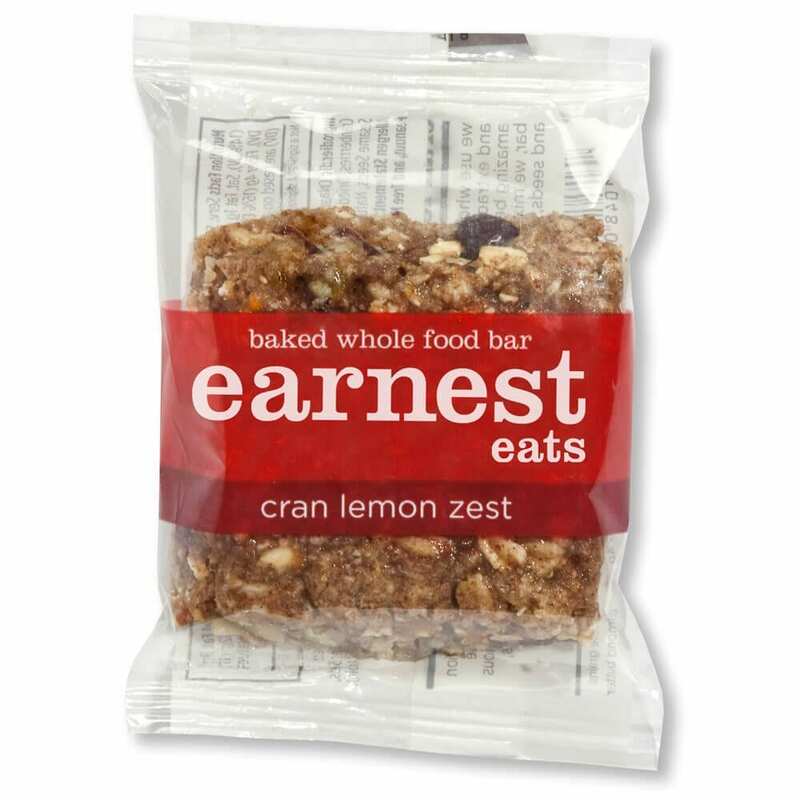 Earnest Eats put purity on a pedestal, making their bars with only the good stuff. The Cran Lemon Zest Baked Bars have cranberries, oats, lemon, and almond butter. This soft bar has all the good nutrition of a granola bar, and it eats like a sweet, buttery cookie. 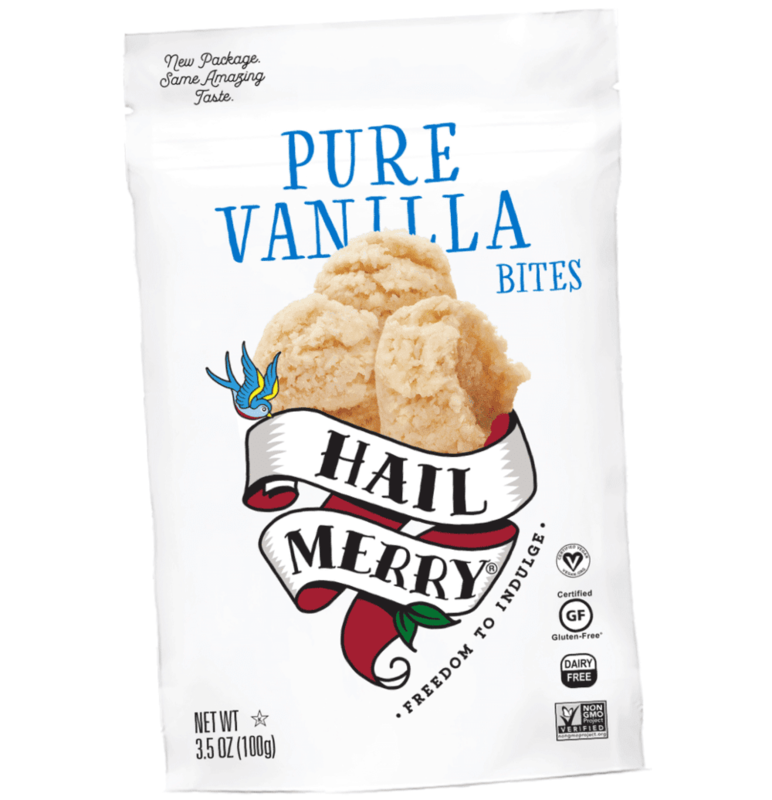 These creamy vanilla bits are gluten-free, dairy-free, and non-GMO Project Verified. By now, you might be wondering what the bites do have. To summarize, they’re packed with pure goodness. The snacks feature a coconut base that’s lightly sweetened with maple syrup and reinforced with almond flour and coconut oil. A splash of organic Madagascar vanilla creates a comforting flavor redolent of your favorite ice cream cone. The treats sound and taste rich, but one serving has only 130 calories. Take a bite of this bar and you might have to double check that you’re not eating carrot cake. Okay, so maybe you’re not eating carrot cake; you’re eating something just as delicious and much better for you. This convenient store-bought bar tastes like a decadent treat, but it only has 3 grams of fat and 150 calories. As the label suggests, cashews, figs, and carrots top the lineup of wholesome ingredients in this eat-anytime bar. This handy snack is perfect for those salt-craving, meat-eating, low-carb snackers out there. These unique snacks are made from pork skin. 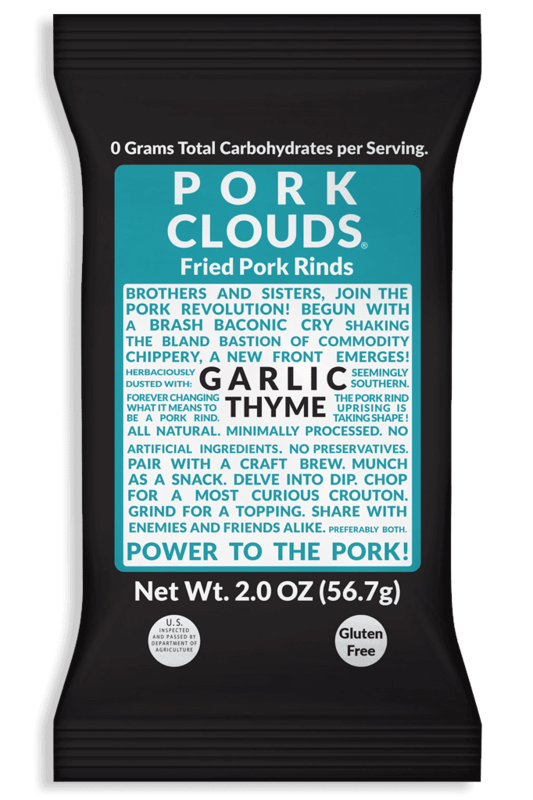 That’s right; salty, perfect pork skin, plus complimentary oil and seasonings. These snacks are super-satisfying and surprisingly lean. One serving has just 70 calories, 0 carbs, and 8 grams of protein. Multi-grain goodness meets a hint of cheese and lime in these crispy triangles. Grab a bag to throw yourself a fiesta courtesy of your local grocery store. 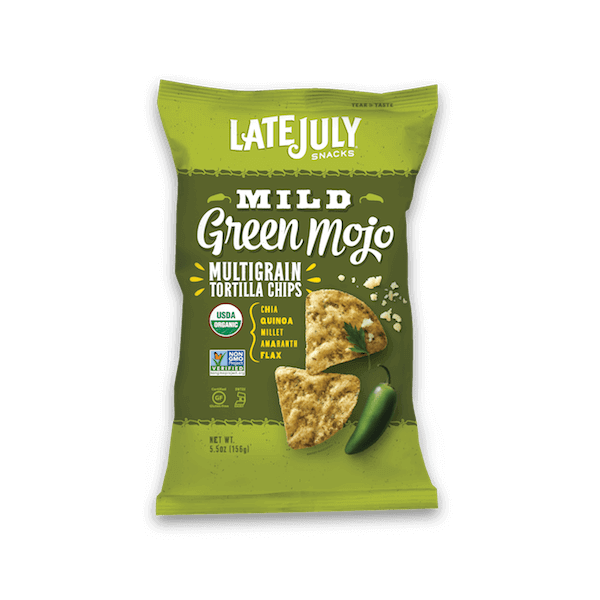 These Late July chips are USDA-certified organic, non-GMO Project Verified, gluten-free, peanut- and tree nut-free, and 100% whole grain. Eat the chips with salsa or guacamole—or even straight out of the bag—for a perfectly spicy flavor experience you’ll want to have during snack time every day. 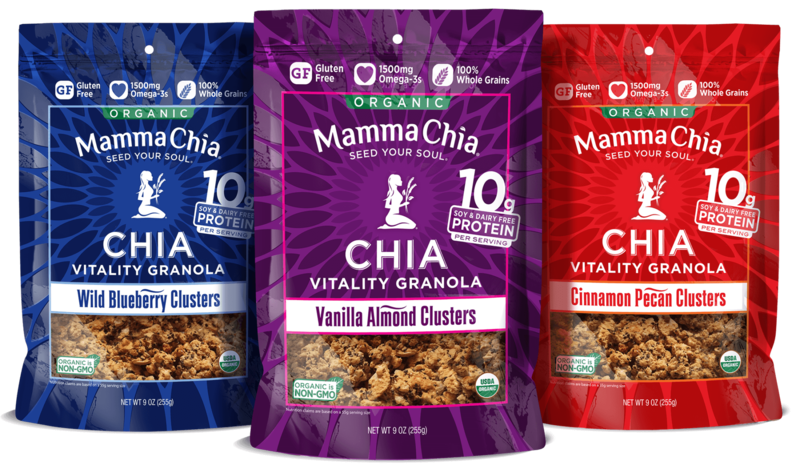 Mama Chia’s tasty clusters deliver plant-based protein in a convenient package. One serving of the clusters has a whopping 10 grams of protein. In addition to organic chia seeds, the bars have organic whole grains, fruits, and pea protein. Light as air and readily available anywhere, PopChips bring a convenient and totally unique crunch to your snack-time adventures. 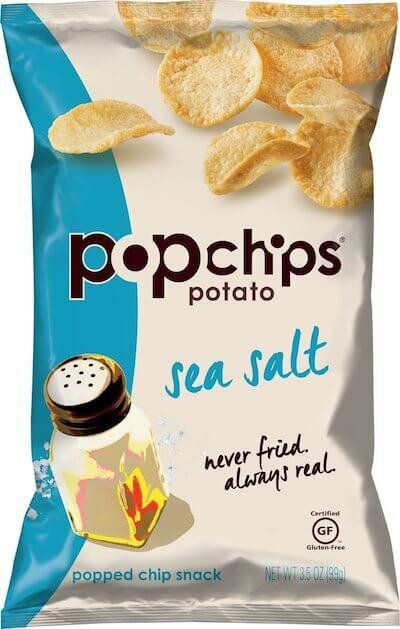 PopChips doesn’t fry their chips; they simply put potatoes under high pressure until they pop. The light result contains even more delightfully snackable flavor than a regular potato chip. Plus, the chips don’t have the greasy film you find on most chips. One serving has only 120 calories. And did we mention the chips are vegan, with no preservatives or artificial flavors? Skip squinting at labels. 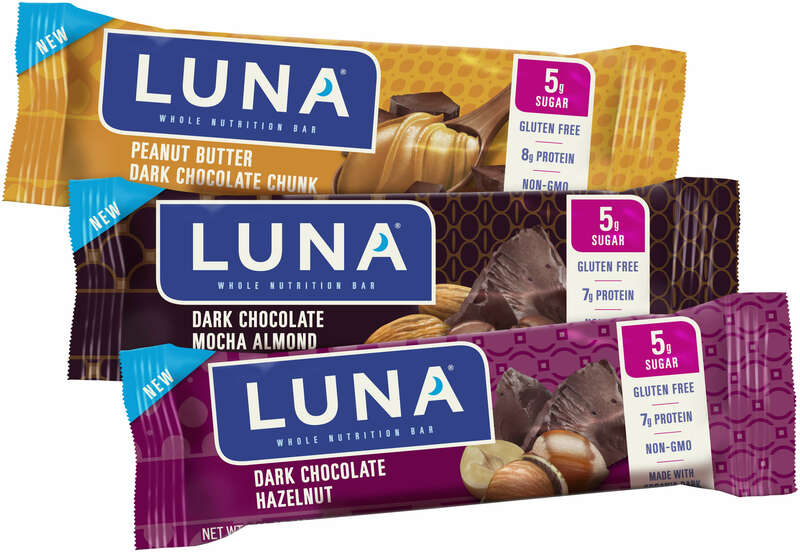 When you grab the Luna 5G Sugar Bar, you know exactly what you’re getting. Even though these bars take it easy on the sugar, they taste just as good as any other snack bar out there. Cinnamon, almonds, and vanilla swirl together to give you the taste of a healthy, grown-up cinnamon roll. And let’s not get caught up in what the bar doesn’t have, because it happens to be packed with good stuff. The bar has calcium, iron, vitamin D, and protein. We could call these treats cookies, but as the package says, they’re also superfood energy bites. These insanely tasty cookies don’t include the usual mix of butter, eggs, sugar, and white flour. Instead, they have organic coconut, agave nectar, and almond flour, and the ingredients come together to make a chewy treat that might be even better than a regular cookie. 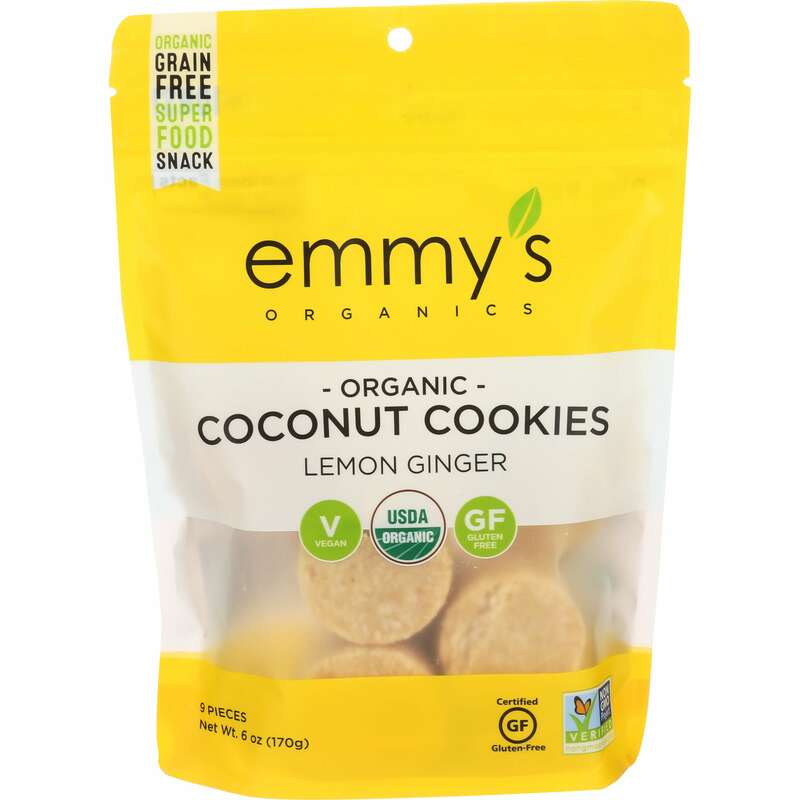 The cookies are vegan, gluten-free, soy-free, grain-free, USDA-certified organic, and non-GMO Project Verified. So next time you have a cookie craving, skip firing up the oven and head to the grocery to stock up on these remarkable cookies. 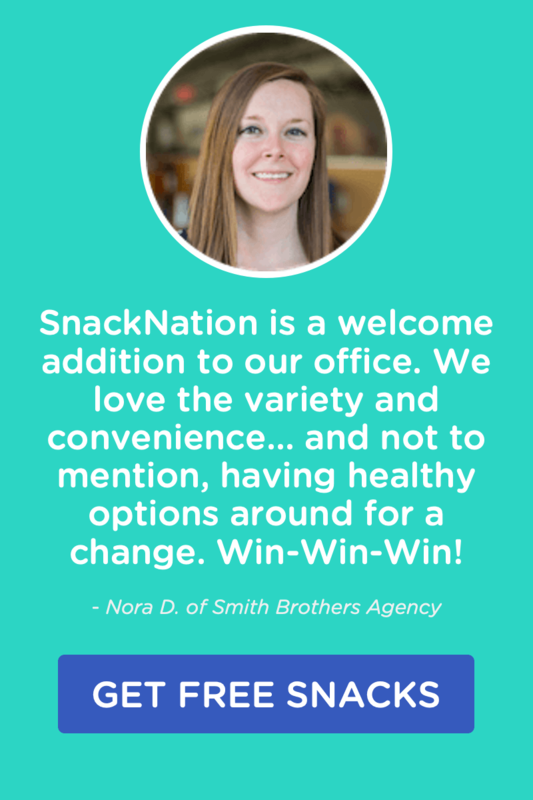 We had no idea you could pack so many gourmet flavors into a snack while keeping it healthy. 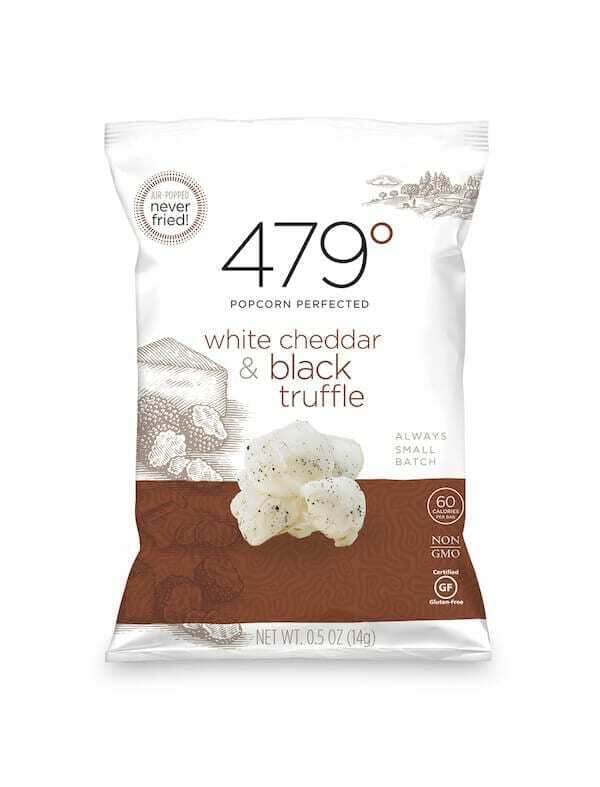 479 Popcorn did the impossible by packing a bushel of white cheddar and black truffle flavor into popcorn that only has 140 calories per serving. These light-as-air kernels are heavy with flavor and fiber that will hold you over until your dinner reservation. The popcorn is made with organic, non-GMO ingredients that you can feel good about putting into your body. Your tastebuds will love savoring the amazing flavors. What’s your favorite snack? Let us know in the comment section below! Love all the Information provided. Glad to hear it, Robert! I loved these suggestions, Thanks! But I would like to point put that GMO foods are so far perfectly safe. It’s often being confused with chemically treated crops, but GMO crops are safe and have prevented mass starvations and famines. All they do is take cells from a crop, say for instance one that is prone to drout. They use certain types of bacteria, organisms that have been known to be able to transfer genes, and give the bacteria a gene that is good against drout. They then pass the bacteria to the cell, and cell recieves this DNA. Then they let the cell cultures grow and produce. They are basically just speeding up the evolution process and natural selection to breed better crops. Of course it’s a newer science and it’s possible there are risks we won’t know for a long time, but the potential for this science is beautiful and extremely interesting.